After walking many of my own clients through their fertility, pregnancy and postnatal journeys, I fell pregnant with our first child in January 2017. 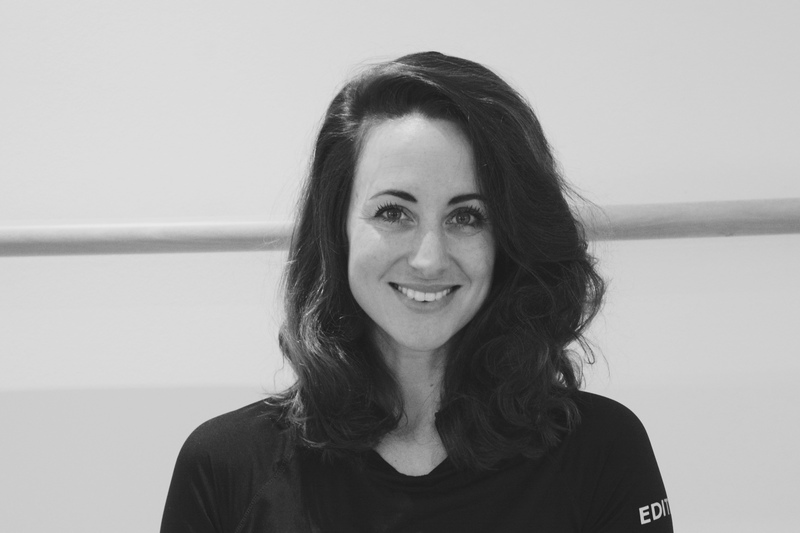 I had an uncomplicated, joyous pregnancy and learned so much about my own Pilates practice through many hours of self discovery and sessions with my own trainer, Brazilian Pilates instructor and physiotherapist Fernanda Lozier. After spending my time reading and speaking to many different women, I opted for a home birth at our home in Biot, France, where our daughter Mila Olivia was born naturally on 15 September 2017. She came at 38.5 weeks and weighed a healthy 4060 grams. My labor was truly the most empowering experience of my whole life, equally physical, emotional and spiritual. 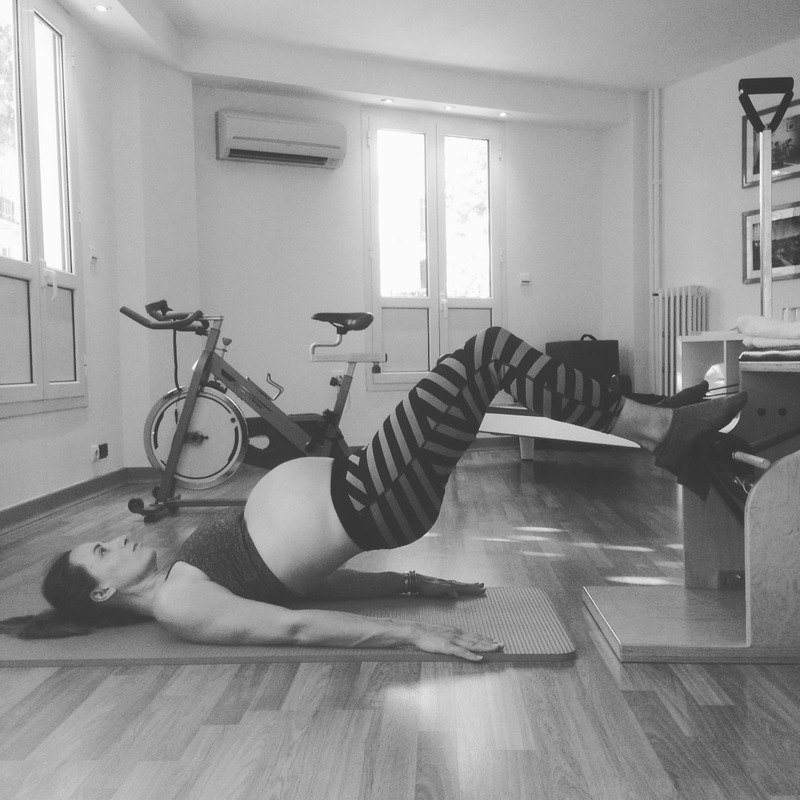 Here are 12 photos profiling Pilates and my journey through pregnancy. First trimester: The beauty of leading an active lifestyle before I fell pregnant meant that I could enjoy the advanced Pilates repertoire throughout my first trimester. Here I played around with a full version of ‘swan dive’ on the reformer, an exercise that can load the lower back if not performed correctly. 15 weeks pregnant: As the incredible nausea of the first trimester lifted, I had a distinct and renewed energy going into my second trimester. It was winter in France and unfortunately I picked up a nasty flu/bronchitis which stayed for a few weeks. I felt 15-minutes of light work on my mat everyday was enough to keep me centered and in a positive mind space. This stretch helped ease tension in my upper back which had started to take strain from the weight of my bigger breasts. 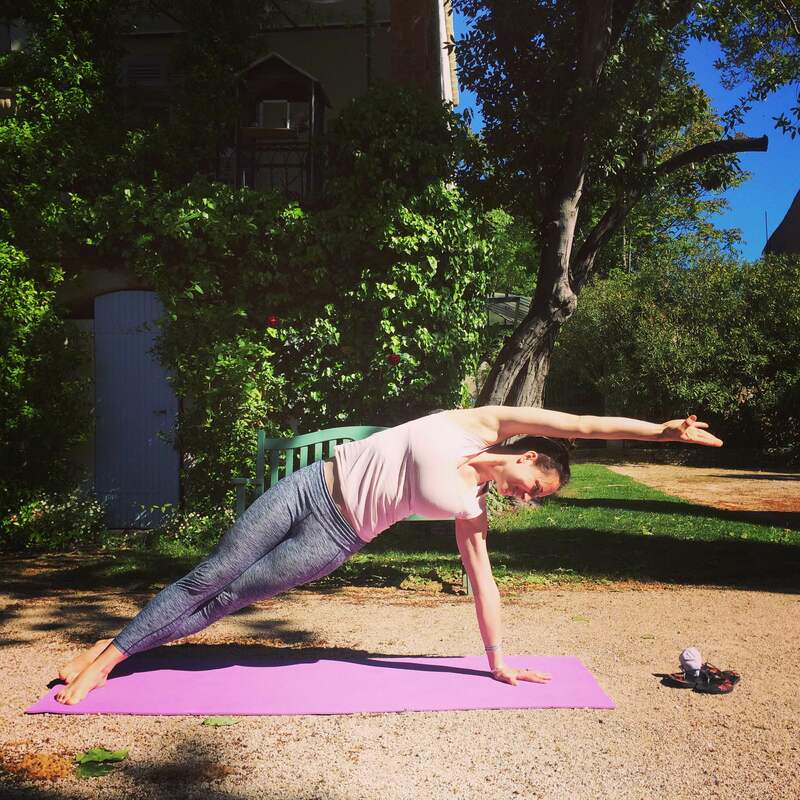 16 weeks pregnant: I have always loved practicing Pilates outdoors in the sunshine. This photo was taken on holiday in Provence at a quaint bed & breakfast. By 17 weeks, I had started to ‘show’ — a little, happy bump of sorts. I felt I should enjoy the more advanced repertoire while I still could so chose to play around with a ‘side bend’ on the mat. 17 weeks pregnant: By this time, I could feel and see my abdominal definition slowly disappearing; the scale also showed 3.5 kgs up from my pre-pregnancy weight. I also had a strong feeling to stretch, stretch, stretch my abdominals which I did with this delicious ‘side bend’ on the wunda chair (a great stretch for the obliques) and many cat stretches to stretch out my rectus abdominus (six pack muscle). 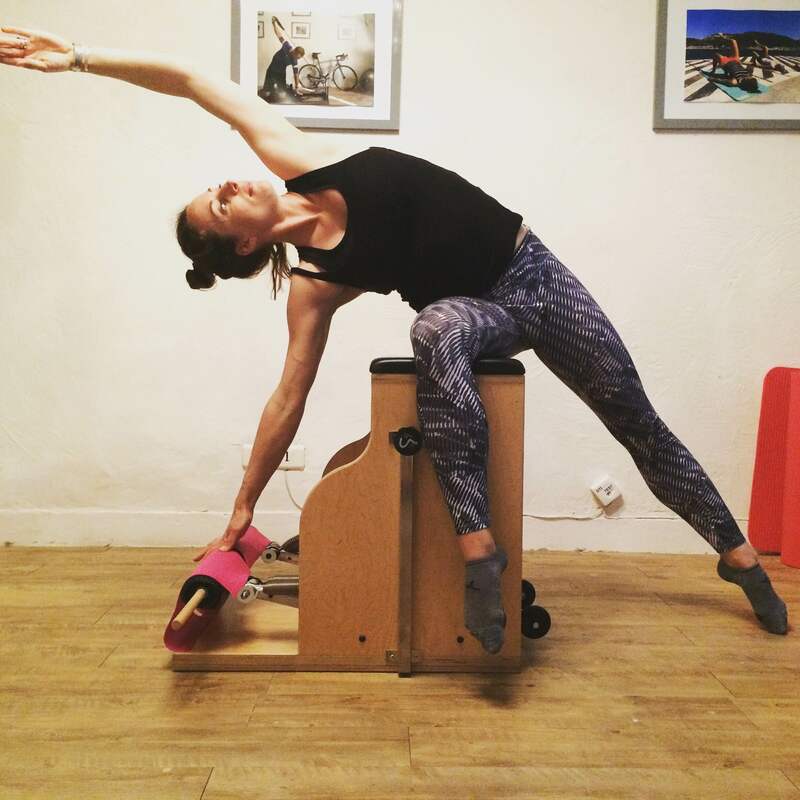 21 weeks pregnant: Looking back, all I seemed to do in my second trimester was stretch and strengthen my obliques with side over-type exercises, this one on the Clara step barrel. After labor, I really questioned Pilates/fitness practitioners who encourage pregnant women to stop completely with abdominal work. In natural labor, I needed every drop of my abdominals, especially my transverse abdominus to aid with deep breathing, assist with the stronger contractions and essentially move my baby further down the birth canal. 22 weeks pregnant: I remember this training session so clearly… it was the time I felt at my absolute best over my pregnancy; healthy, full of energy and radiant. I was also walking 5-8km everyday with our labrador doggie, achieving the same mileage as I had before my pregnancy. This was also the special time I started to feel our little one move, which really added to my feelings of amazement and wonder. 24 weeks pregnant: ‘Back support’ at La Brague river/forest where I went walking most days. A great way to articulate and stretch the lower spine without lying on your back. At the time, it was chaos in my professional life: we were moving CREW Pilates into a new studio with a busy studio over the summer months and 6-7 hours of teaching a day. I made sure to put my own Pilates practice first. 27 weeks pregnant: This photo of a ‘modified front support’ was taken at the Chateau des Alpilles Provence where we went away for two glorious nights to celebrate my mom’s 60th birthday. The photo does not show it but I was terribly stressed with lots going on both personally and professionally. I made a deliberate decision to use this time as a turning point and let all go. Stress management is truly one of the most important skills to develop over pregnancy and labor. 29 weeks pregnant: We were finally moved into the new studio and taking things a little easier. I had picked up 6.4kgs by 29 weeks pregnant and had felt a definite slump in my energy levels. Also at this time, I had picked up a problem with bad veins around my pubic area, which persisted throughout the later weeks of my pregnancy. This meant squats and any pelvic weight-bearing exercises were contraindicated. 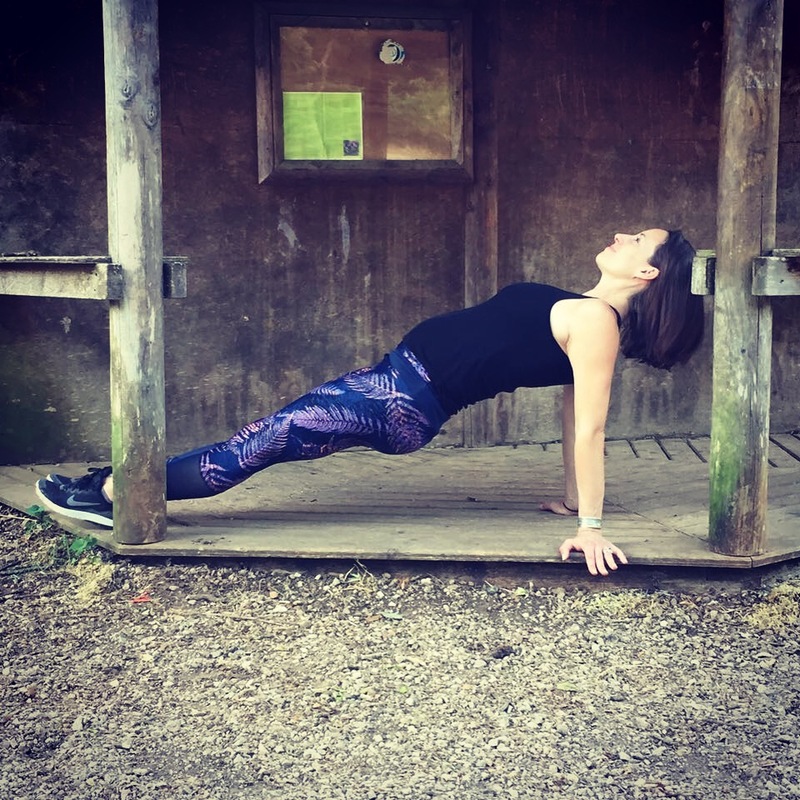 30 weeks pregnant: My midwife Alex Ballada recommended this puppy stretch as a way to relieve the pressure in my pelvic floor. On top of my regular Pilates and walking routine, I started to swim in the ocean every evening. It cooled me down in the peak summer heat and also helped relieve the pressure in my legs and feet. I truly loved the sense of weightlessness in the water. Water also helped me with pain relief during labor. 33 weeks pregnant: By this point, movement had become awkward and I felt increasingly heavy and very pregnant. Here I was doing ‘pelvic curls’ on the wunda chair, an exercise that is often contraindicated in Pilates literature, as it puts a woman on her back (supine) and risks the development of supine hypotension. I listened to my own body though and stopped whenever I felt an exercise no longer served me. 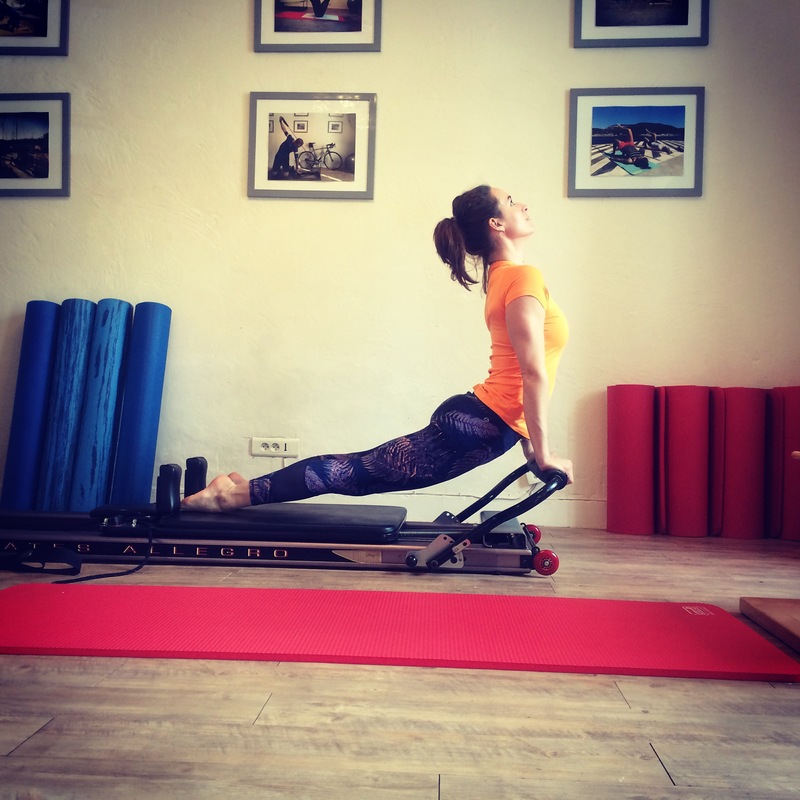 36 weeks pregnant: This was my last proper practice before I went off to give birth. I remember asking one of my teachers once, “When must a pregnant woman stop her Pilates training?” To which she answered, “A woman will just know.” This session, I just knew. It felt difficult getting into certain exercises and I just felt heavy, tired and over it. 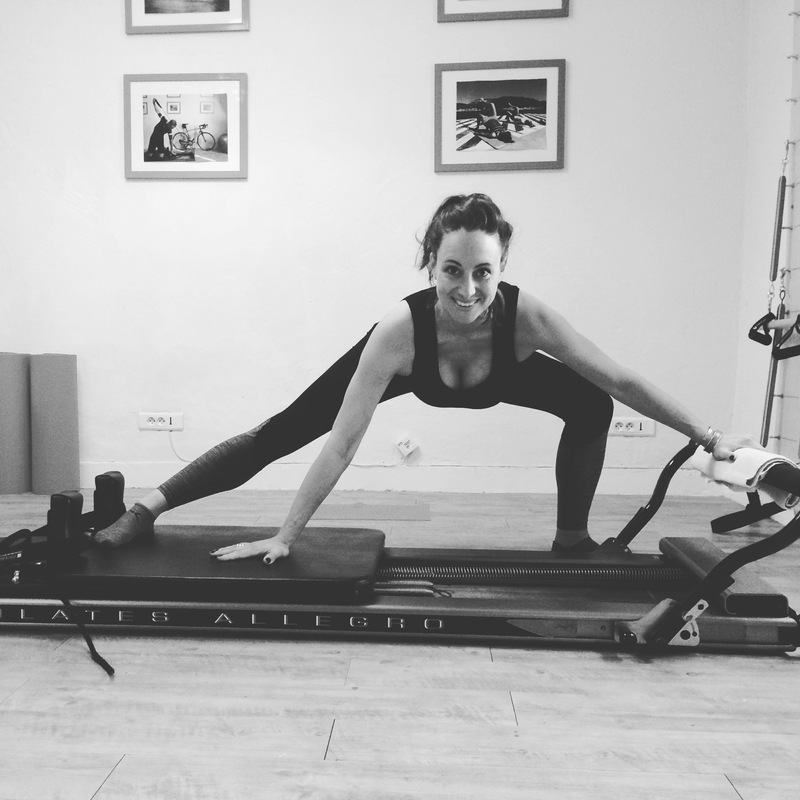 Still, I managed a smile in the very elegant ‘mermaid’ on the reformer.